The GT2i codriver brief bag was specially designed to make life easier and to be compatible with the constraints imposed by the right bucket seat. 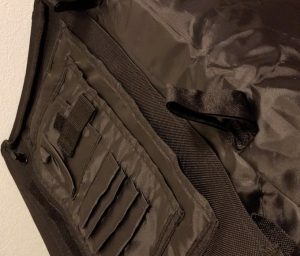 The bag is also equipped with 3 inner places for pens, glasses, billfold, stopwatch or other vital accessories for the co-driver. 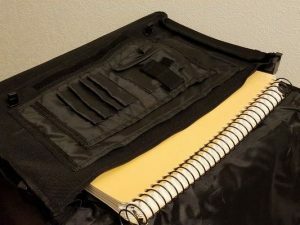 It was also equipped with outside pockets.